FFG an honorary Victoria's Secret Angel now (thanks to Swarovski Elements)? So I have to say a massive thank you to Swarovski, who sent a rather incredible robe my way at Christmas. 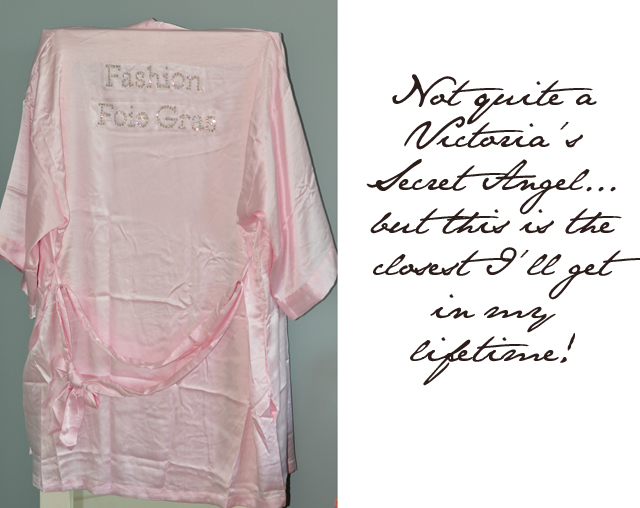 To celebrate the 11th year of working in partnership with Victoria's Secret, the lovely ladies over at Swarovski gave me my very own Victoria's Secret Angel robe, complete with the blog name written on the back with Swarovski crystals. Sadly, I don't turn into Doutzen Kroes when I put it on. Darn it! I was totally hoping this would act like a superman cape - everyday girl to international supermodel every time you put it on. Oh, that would be the dream. You may remember back in 2012 I went to New York to cover behind-the-scenes at the Victoria's Secret Show. 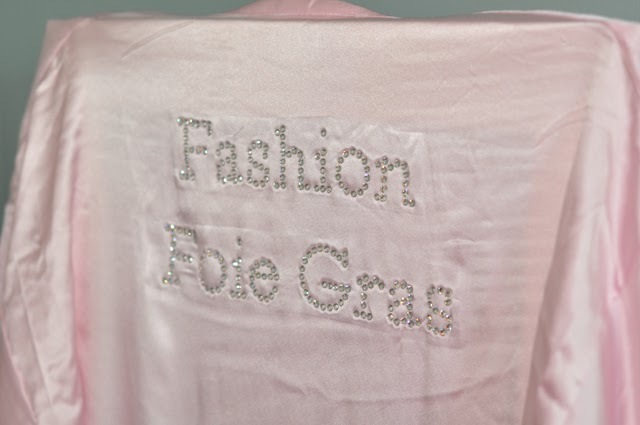 It was there that I had my first up close and personal experience with a VS Swarovski embellished robe. I walked around like a peacock modelling the beautiful silky number. Then I had to give it back as Karlie Kloss or one of the other girls needed their robe. Here I was hoping I would be able to walk away with the beauty. Fast forward one year and I have my very own, with my very own name printed right on the back. Ask and thy shall receive. Thank you again, Swarovski Elements!